European Protected Species (EPS) derogation licences issued by Statutory Nature Conservation Organisations (SNCOs) such as Natural England to enable the legal disturbance of a bat roost require that appropriate mitigation is implemented to ensure no bats are harmed during development works, and that compensatory roosts are provided to ensure that the local bat population isn’t adversely affected going forward (depending upon the status of the existing roost to be affected). As outlined above, the problem is we do not know how effective these compensatory roosts are so that future derogation projects can be more appropriately planned. A large project that we have recently been working on near Loughborough has erected a large number of bat boxes (in addition to purpose-built bat barns) as part of mitigation works. 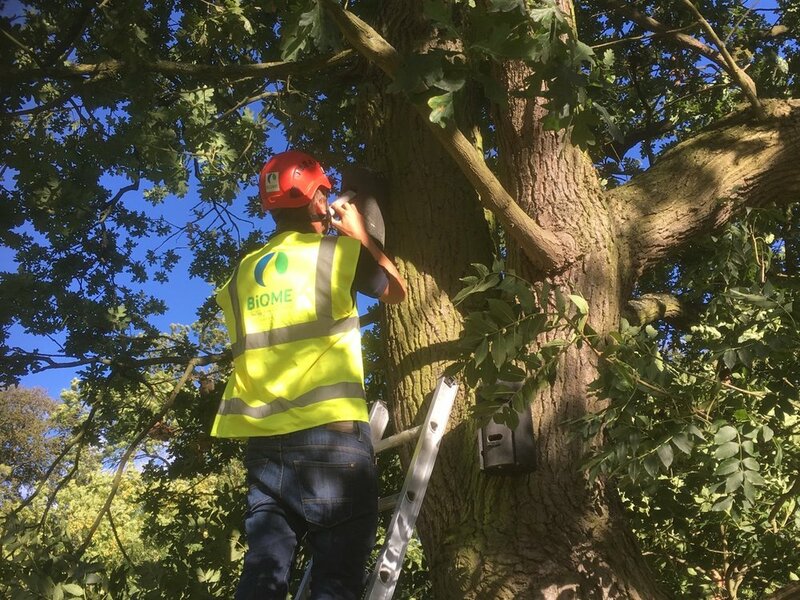 We have been conducting tree-climbing checks of bat boxes at the site where three different types of boxes have been used; 1FS, 1FD and 2F (all Schwegler), and we have found that the 1FD box is significantly more effective at attracting roosting bats in comparison to the 1FS (which often contained birds nests) and the 2F (which were invariably empty). Older PostHow does wildlife (& surveyors) cope with an un-sprung Spring?